After attending writing workshops, conferences, book expos and following the blogs of aspiring writers, it's occurred to me that there are far more people getting ready to write than there are actually doing it. Many writers start with enthusiasm, an idea and the imagination and overlook the equally important requirement of persistence, energy and patience. We need to be able to look at a tea-towel and articulate how it smells, feels, looks and performs in a way that is relatable yet unique, and then decide not to use it in the story. 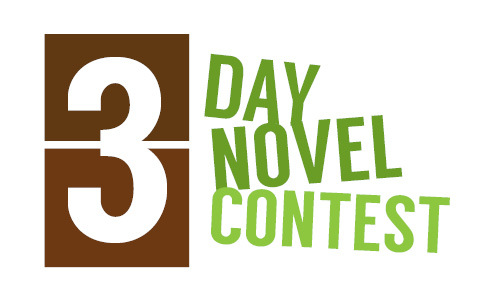 This weekend I'm participating the in 3-Day Novel Contest. I've done this before and I don't expect to win or write a masterpiece but, like the Paris Marathon, I do expect it to break down barriers. I expect it to remind me how frustrating writing is supposed to be, how little effort I've made recently and how much more effort I'm capable of. Writing is not meant to be something whimsical I do only when I feel inspired. And I'm not going to die writing for three days solid, although I might look like I have. And when I finish and print out the work I've created, I will either be elated by the effort, surprised by the genius or aware that I'm holding a piece of crap but also understand why it's crap and how to make it better. And when the next time I'm compelled to write, I will sit there for a few more hours and feel like this isn't really hard at all. "Where do you get the discipline to do it, day after day?" they'll ask. "Because I did the 3-Day Novel Contest," I'll answer.